I wanted to introduce you to this new dark little novel for pre-teens and young adults. 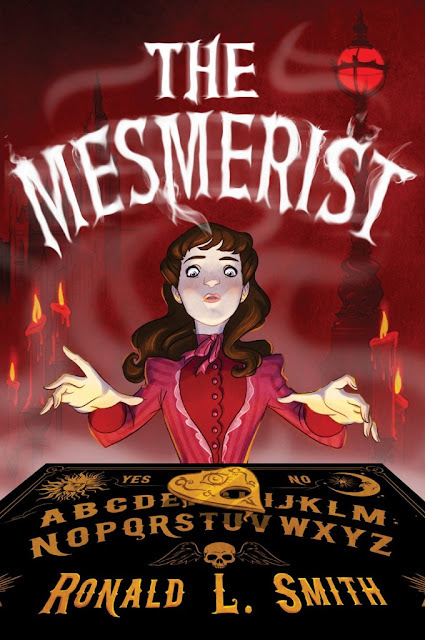 "The Mesmerist" comes out February 7.
Who doesn't love a book set in dark Victorian London, am I right? Here's a lively, intriguing little tale that can keep a kid occupied during boring dark or rainy winter evenings. I'm interested in the topic of mesmerism, so might check it out myself! Not trying to be Debbie Downer but I found that it didn't focus on mesmerism as much as I would have liked. I was a NetGalley reader. Would love to know what you think of it.